It’s always a toss up in the festive season – bold lips, or glittery eyes? Never both … or if you have mastered how to do both then please share your secret! I’ve been sharing lots of lipsticks recently which I’ve been loving for Autumn / Winter, so of course I have to also mention how I do my classic ‘natural’ eyes. 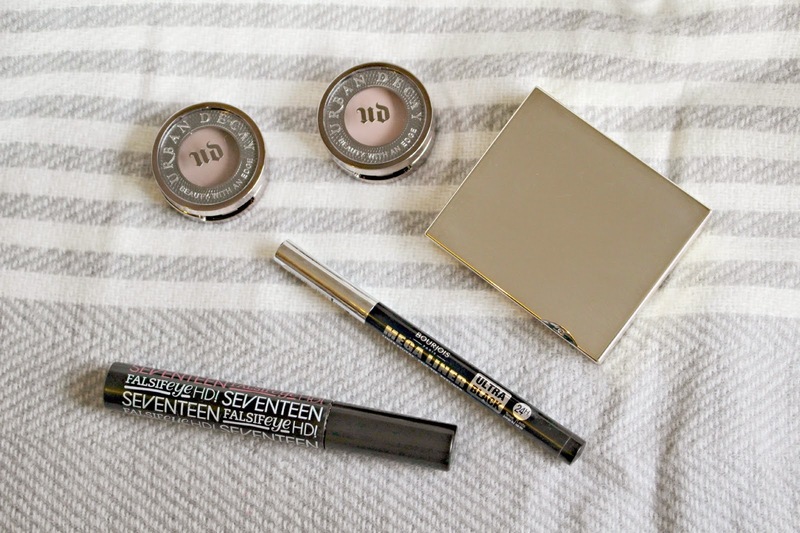 The products which I always use include the Seventeen Falsifeye HD mascara, Bourjois Mega Liner, Urban Decay Eyeshadows, and the Clarins Perfect Eyes & Brows palette. The first step to a neutral eye is choosing your shadow. It may seem silly using a shadow that is this close to the shade of your skin, but it really adds definition to the eye area and creates a more even base. For some more depth, you can choose a slightly darker shade to blend in the socket area. 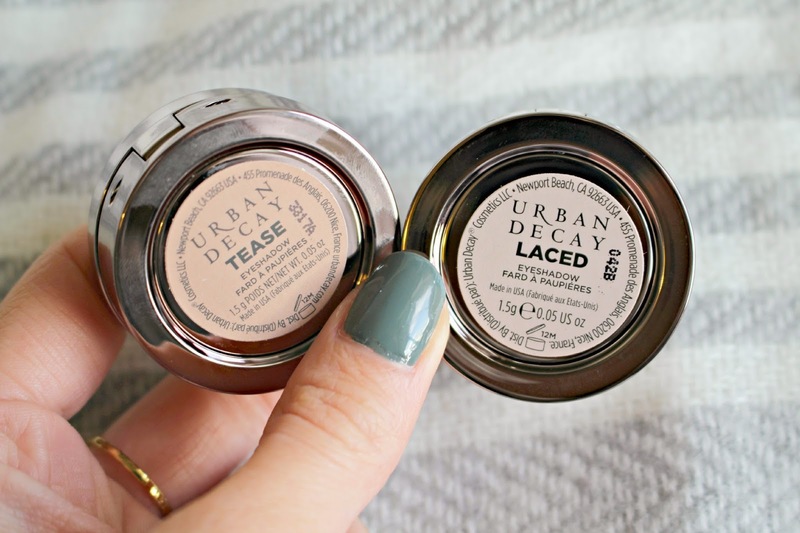 My two absolute favourites are the shades Tease and Laced from Urban Decay. 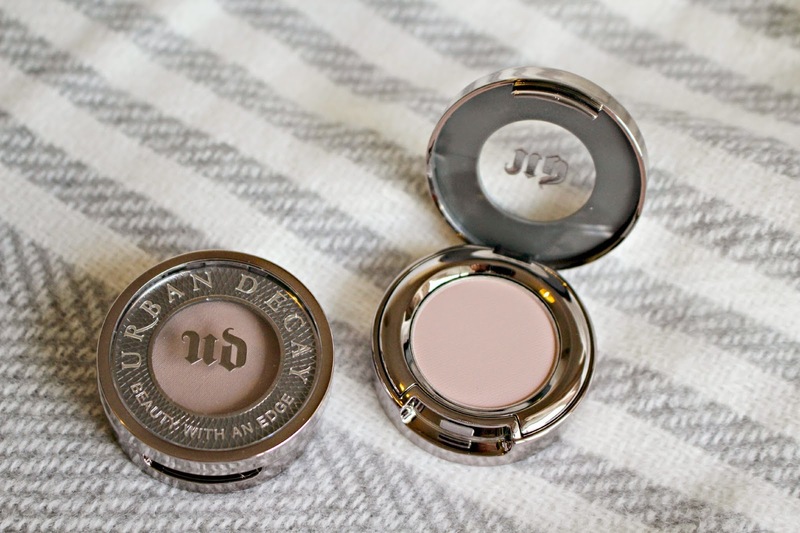 I used to use shades from my Naked 3 palette (review here), but as I was getting through the matte neutrals far more quickly than the rest, I decided to investigate the rest of the Urban Decay shadow range. The shadows are super high quality – delivering highly pigmented, blend able shades, and I’ve there’s over 60 shades available – so be sure to visit a counter and try out some swatches to find your perfect shade. Next, I use the Bourjois Mega Liner. I first wrote about this in my Black (Eyeliner!) Friday post here and usually reach for this for my neutral eye because of the calligraphy-like nib which means you can create a super skinny line and a perfect cat-flick. It’s not expensive and has great lasting power – I don’t know why you’d spend more on an eyeliner when the Bourjois one is so good! Another budget friendly eye product which you’ve heard me rave about so many times (recently here and here!) is the Seventeen Falsifeye HD Mascara. Honestly – it’s the best. If you haven’t tried it then you’re seriously missing out! The brush which you can see in the picture has stiff bristles which are ideal for separating and lengthening your lashes, and the formula is build able and lasts all day. 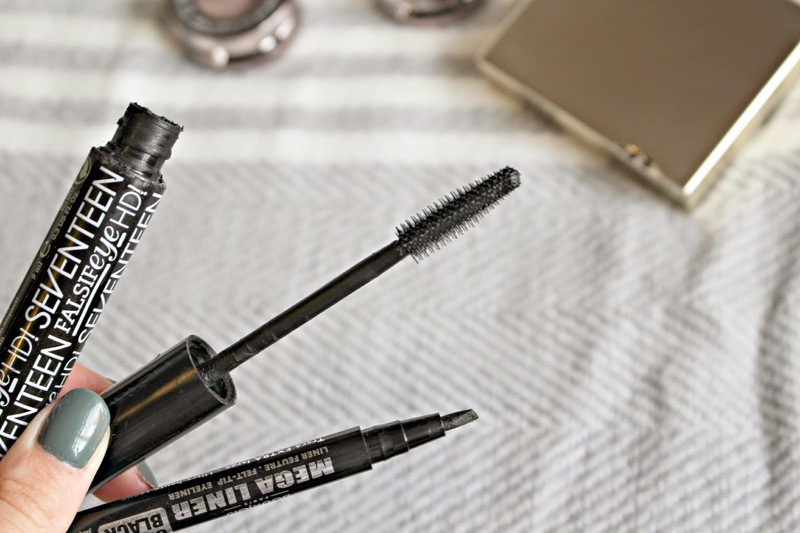 I can not fault this mascara, and even at just £6.99, I reach for this over my ‘Luxury’ mascaras every day. I either start or finish with Brows, and am currently loving the Clarins Perfect Eyes & Brows palette. It contains three shades of shadow (one which is far too dark for me so I use it as an eyeshadow!) which means you can create a more realistic looking brow, alternating the colour you use for different areas. My arch is already quite dark, so I fill in the gaps with the lighter shade, whereas the ‘tail’ is rather lacking so I build it up with the medium shade. Unfortunately after a few months of use the palette is looking rather messy so see my review of the palette here when it still looked beautiful! With neutral eyes mastered, you can focus on creating a bold, dramatic lip – and I’m seriously loving this look this season! You can see some of my bold lip posts here and here. What are your key products for neutral eyes?